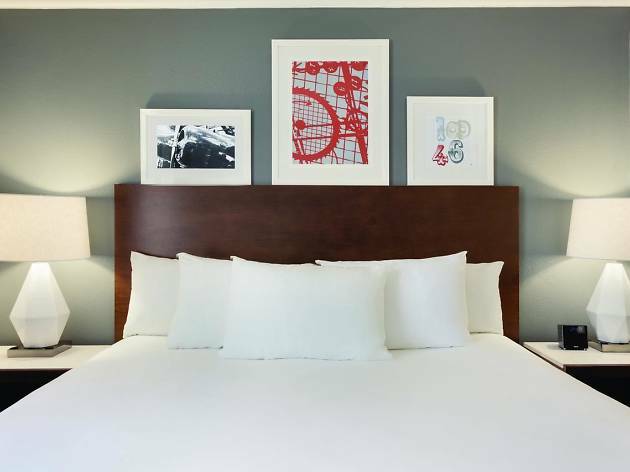 The Radisson Dallas North is bang in the middle of the buzzing Addison nightlife and it’s also close to downtown Dallas to the south and the happening Legacy West and The Star areas to the north. The hotel’s shuttles within a five-mile radius are very convenient if you want to go bar hopping or visit the Cavanaugh Flight Museum at Addison Airport or the Improv Comedy Club on Belt Line. 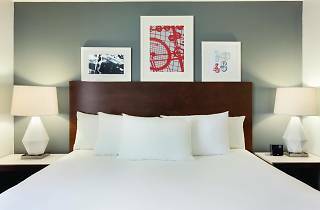 The hotel is also conveniently located across from the DART Transfer Station with access to the Dallas public transport system. Whether you’re in Addison for a conference, meeting or a weekend getaway, the Radisson offers complimentary parking, Wi-Fi, an outdoor pool, a business center and a fitness center. Should you decide to have a quiet evening in, the hotel’s restaurant offers an a la carte menu and provides room service. The spacious and stylish rooms and suites have all the commodities expected of a hotel of this kind.